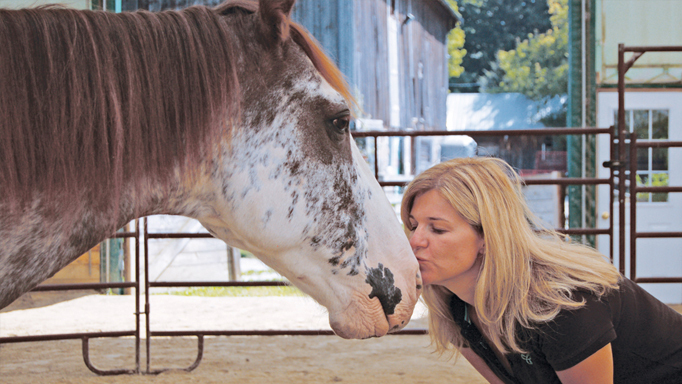 Adventurer Liz Brown puts her doubts aside and gives vaulting a whirl. Even though I grew up on a horse farm and have been doing this equine journalism thing for over a decade, I’m continually shocked at how little I know about horse activities outside my own little area of expertise inside of English riding. Take vaulting. If you came up to me a few months ago and said “I do vaulting,” I’d assume you were part of the circus and had a penchant for spandex and sequins. In my mind, regular, real-life people don’t vault. But my personal myth was dispelled recently when my editor arranged for me to try a vaulting lesson with Alysha Filer, a 27-year-old vaulting instructor and mom in Paris, Ontario, who assuredly is not part of a travelling circus. 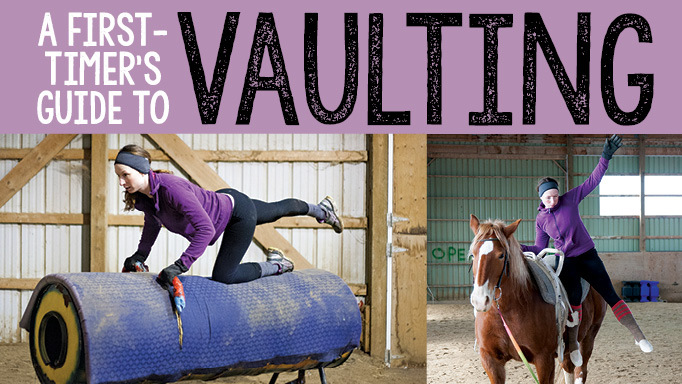 For the uninitiated: “Vaulting is the performance of gymnastic and dance-like movements to music on a moving horse,” according to Vault Canada. I can’t dance. If I try to do a cartwheel I throw out my back. I can barely touch my toes. Prior to arriving at Alysha’s lesson, I watched a few YouTube videos of sprightly girls and boys doing acrobatic tricks on cantering horses. I was unconvinced this was a sport I’d be able to do. It was February when I took my lesson with Alysha, but luckily it was only about -5 degrees Celsius, as vaulting requires going shoeless (or wearing a special vaulting shoe that resembles a soft ballet flat with a sticky sole for grip). We began with a warm-up and introduction to the basics. Alysha starts every lesson with static and dynamic stretches (stretches involving movement, like high kicks and lunges). After about 10 minutes of this and a couple of lower back and hamstring spasms (I said my flexibility was terrible! ), Alysha pulled the cover off an apparatus that loosely resembled the pommel horse they use in gymnastics. She calls this “the barrel” and it does resemble a barrel. Thicker and more robust than a pommel horse, the barrel has two handles on either side of where a real horse’s withers would be. The first move Alysha introduced me to was the ‘mount.’ It’s kind of like a leg up, with your ground person giving you a boost off of your left leg, but you face more forward with your shoulders parallel to where the horse’s shoulders would be and swing your leg over to gracefully leap astride the horse. On the barrel this was simple (except for the spasm in my hip flexors – I really need to do yoga more). Once on the barrel, Alysha introduced me to a few more moves – known as compulsory exercises in the vaulting world. These exercises are all scored at vaulting competitions – competitions are categorized into individual, pair and team. First was the ‘kneel,’ which, in simplest terms, is facing forward on the horse and kneeling. Second was the ‘flag.’ From the kneel, a vaulter leans forward and stretches out their inside arm and outside leg. We also tried the ‘stand’ – standing on the barrel with a foot on either side of where the horse’s spine would be, and a half-mill and mill – a move like an ‘around the world’ where the rider pivots on his or her arms and swings their legs across and around the horse’s back. After about 20 minutes of flailing around on the barrel while Alysha repeatedly assured me I was “doing fantastic,” we moved to the real deal – a 12-year-old Belgian/Quarter Horse mare named Peaches. Alysha told me the most important qualities for a vaulting horse to have are a wide ‘comfy’ back and a steady, unflappable temperament. In North America, many vaulters use draft crosses, while in Europe, where vaulting is more popular and competitive, they more commonly use Warmbloods. Instead of a saddle, the horse wears a thick pad and a surcingle that has two small handles on either side of the withers. Horses wear a bridle and sometimes side reins and are lunged by a handler in a 15-metre circle. After walking and trotting Peaches on the lunge line, Alysha had me approach the mare by walking along the inside of the lunge while she kept moving at a brisk walk. Alysha walked with me and as we fell into step with Peaches, she moved to my inside and counted “1, 2, Up,” and picked up my left leg to launch me into seated position. My first compulsory exercise: Nailed it! Next, as Peaches continued her walk, Alysha walked beside me, acting as a spotter and had me lean forward and swing my legs behind until I was in the kneeling position. From there she talked me into trying a stand. “You can do it!” she coaxed. And slowly, slowly, I eased myself up into a standing position, first letting go of the right handle of the surcingle, and then the left, as I leaned forward and held onto Alysha’s hand for balance. “Bring your chest up,” she said, noting that people tend to tip forward and this throws their centre of gravity off balance. Finally, I let go of her hand and Peaches took a few more walking steps. I teetered one way, then the next, but stayed balanced for a few seconds. But then in an instant, I tipped forward and grabbed the handles to steady myself. It didn’t take much to throw me off – a slight shift in the arc of the circle. Being up that high and feeling that vulnerable on a horse was equal parts terrifying and exhilarating. I can’t believe there are vaulters who stand on horses at a canter and I have a new respect for how incredible their athleticism and sense of balance must be. Vaulting is like gymnastics or power yoga on horseback. You need strong arms and legs and a strong core. And a lot of that can be achieved without even going near a horse. “Push ups help, planks help,” Alysha said when I asked her how beginners can get stronger and better at vaulting. “Some vaulters do handstands against a wall and walk with their hands back and forth along the wall,” she added. Alysha said that vaulters also practice rolls as a safety measure, so if something goes wrong, they know how to tuck and roll to avoid injuring themselves in a fall. 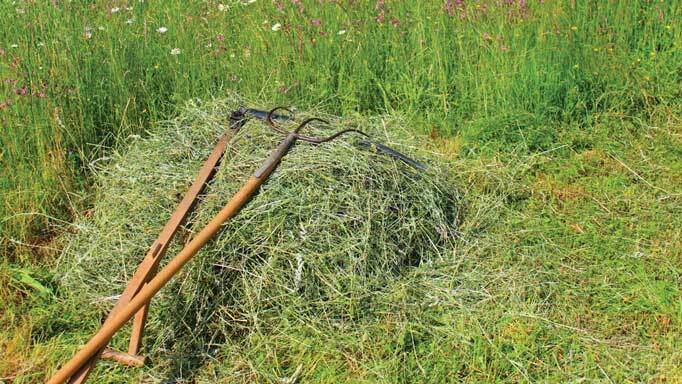 “If you felt you were off balance or fell, you would land and roll away from the horse. We practice those so we’re comfortable with them,” she said. Vaulting is still a bit of an obscure equestrian pursuit, conceded Alysha. But she said in the 17 years she’s been doing it, she’s seen a growth in the public’s interest. 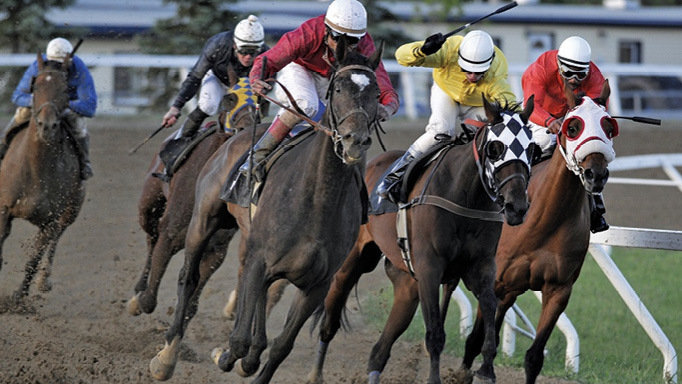 Alysha, who is originally from British Columbia, said the sport is much more popular and developed in the western part of Canada, with multiple clubs and organized competitions. British Columbia, Alberta and Saskatchewan all have provincial organizations, while in the rest of the country there are small clubs or individuals who may offer vaulting clinics and lessons. Alysha said she noticed an increased interest in vaulting following the 2010 World Equestrian Games in Lexington, Kentucky. It was the first time WEG was held outside of Europe and featured elite vaulting competition. “Many people I know traveled down to watch the vaulting and were so inspired by it and inspired by where this sport can take you,” she said. Alysha said that getting into vaulting doesn’t require a lot of upfront investment. You need tights (without a knee patch – you want your legs to glide against the pad and horse while you are doing your moves) and you can just wear socks to start (although vaulting slippers with grippy soles (around $40) helped me immensely while trying the standing positions). According to Alysha, the monthly fee for most vaulting clubs ranges from $100 to $180 for four lessons per month. 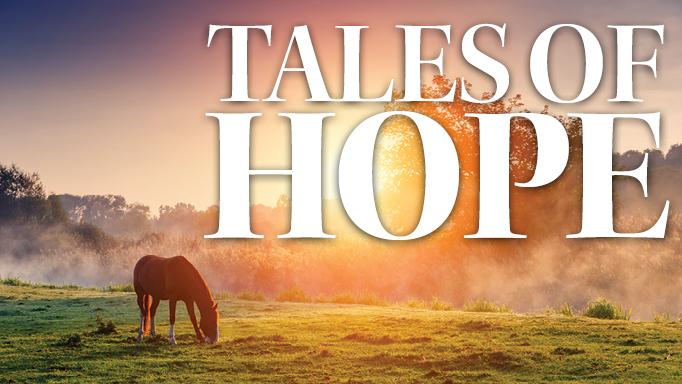 Try not to cry when you read these three extraordinary tales of equine survival.